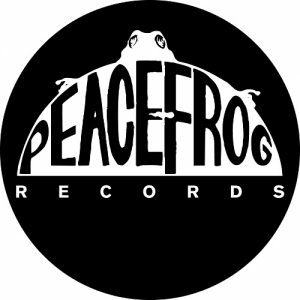 The 25th anniversary of Peacefrog will not be a quiet one, when the seminal UK label admitted it plans to ‘re-press some early catalogue and favourites’. In 2011, the 20-year celebrations were marked with a couple limited edition and coloured vinyl represses of some sought-after tunes, such as both the original and remix versions of DBX’s “Losing Control”. Peacefrog has not yet disclosed any precise plans, what releases it has in mind, but suggestions from the social media have started streaming in. @terminal313 @PeacefrogMusic I would love a proper remastered repress of Losing Control. Discogs prices are silly…. Peacefrog is a multi-faceted operation in the sense that launching as a techno imprint, it has gone through phases with very differing sounds. After teaching techno with tracks by Luke Slater (aka Planetary Assault Systems), .xtrak, Dan Curtin, Robert Hood, Kenny Larkin and the likes, Peacefrog became affiliated with divine house producers from Chicago (Glenn Underground, Gemini) and Detroit (Moodymann, Theo Parrish) later in the 1990s. Thereafter Lucien-N-Luciano and Nouvelle Vague stood for a new, downtempo and Latin direction and in our days it’s a pop-oriented imprint releasing José Gonzalez, Charlene Soraia or Little Dragon. Difficult to imagine that the fan base of early and current Peacefrog will overlap, but in a quarter of the century, during the revolutionary years of electronic music the label has left behind an immense footprint. If asked about a wishlist for Peacefrog represses, I would suggest “In And Out Of Fog And Lights”, one of Gemini’s four albums, and his EPs, as well as “Sonar 123” sampler, “I-Node EP” by Todd Sines aka .xtrak, to add some ideas to the tweets mentioned before. A selection of rare tracks came out in 1997 on two CDs titled “Deletions”, but Peacefrog’s vaults surely deserve a re-run of classic vinyl.